CNC machining, a widely used subtractive manufacturing system, is implemented to precisely remove material from a piece to create a part based on CAD models and design. Taking into account the market demand for tight tolerance and precision, CNC is the ideal production system for both one-off jobs and medium level production. A conventional CNC machine can be used for metal fabrication processes including milling, cutting, drilling, and routing. 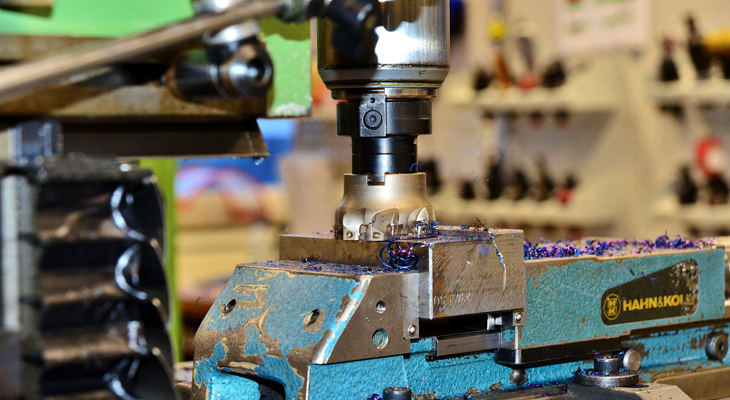 If your project requires accurate, repeatable, and efficient mechanical properties, consider making CNC machining an integral part of your manufacturing process. Precision: The autonomous machining and digital template of CNC eliminate the human error factor and make it possible to achieve incredibly accurate results. Endurance: CNC machines can perform 24/7 and are only required to stop for repair or maintenance. Scalability: Once the specifications and parameters are programmed into a CNC machine, it produces huge quantities with great consistency while enabling scalability. Improved capabilities: When used in tandem with advanced software, CNC machines completely outsmart manual production means. Less labor: Unlike manual metal fabrication methods, CNC processes require less labor. Safety: When it comes to safety, advanced manufacturing machines are better than traditional machines. Low production costs: Properties of CNC machining; speed, accuracy, and precision can improve your bottom line by lowering production costs. Machining a piece of metal essentially adds value to it. How much value we can add to a metal piece depends largely on the manner in which the machined component interacts with other components, combined with its design and complexity. Over the past few years, the latest machining practices and technologies such as CNC have made it easy to produce the designs that were difficult to achieve in the past. Tolerances and the resultant component alterations that were only possible to achieve by highly advanced facilities can now be achieved by more ubiquitous equipment. The continuous advancements in machining technology and growing capabilities enable companies to deliver precision, speed and consistency. However, a deep understanding of basic machining processes is required for non-specialized companies to achieve innovative metalwork capabilities. CNC machining is a tested and trusted metal fabrication method which can be used to carry out countless metal fabrication projects. In the modern manufacturing environment, CNC capabilities are applied to nearly anything that requires engineering or planned design. From automobile to construction, every industry requires quantities of small and large metal and plastic components. More than likely, there are components on your handheld device or computer which have been created by a CNC machine. In order to stay ahead of the curve, develop an understand CNC machining processes. Implementing them can benefit your business operations. If you are located in Edmonton and looking for state-of-the-art machining services, Quality Millwright is ready to serve your machining needs with the best possible technology. Contact us or visit our website to learn more about our machining, fabrication, and millwright services!